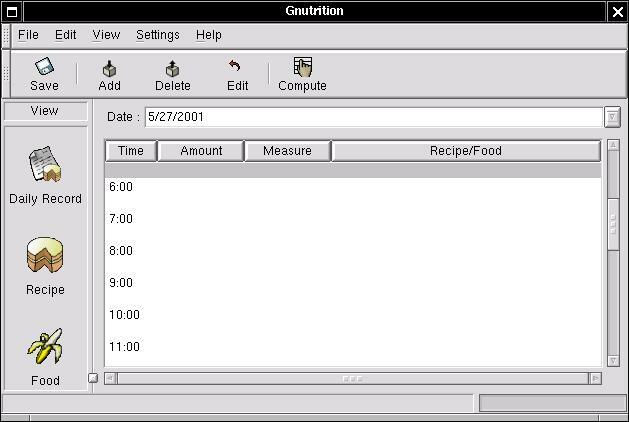 This allows you to enter a particular food and receive a report about its nutrient content. 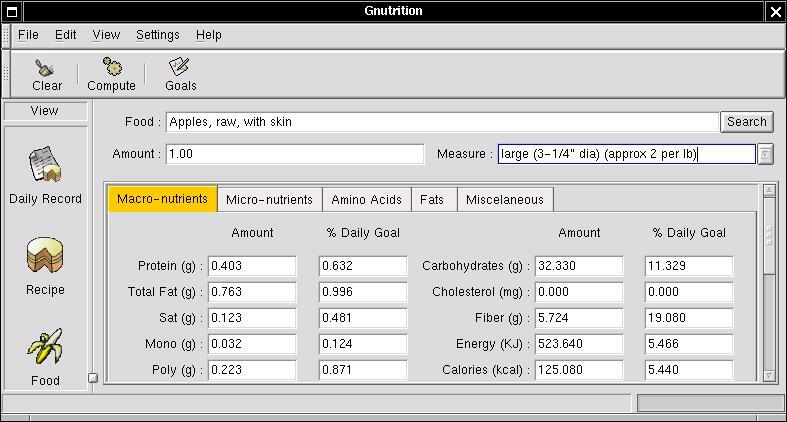 As this box shows, you may search by the text name or by the nutrient content. 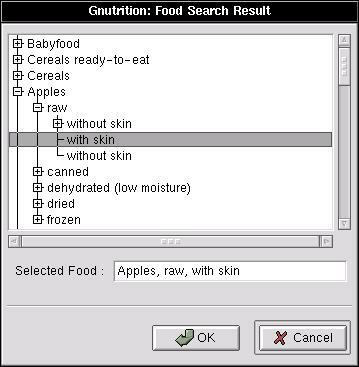 Foods are selected by their nutrient content. ``Content'' can be assessed by grams (weight), or calories (energy). You can maximise nutrients, selecting foods rich in those nutrients, or minimise nutrients, selecting foods low in that nutrient. 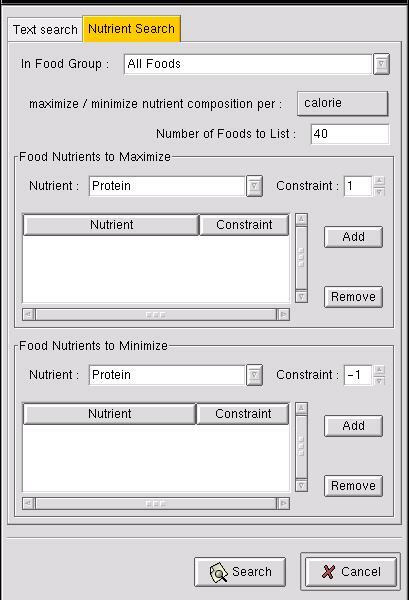 The ``constraint'' refers to a weighting given to each nutrient in computing its score. So nutrient with a constraint of 3 will be three times as important in calculating the score, as one with a constraint of 1. The minimised nutrients have a negative constraint, as they subtract from the score. 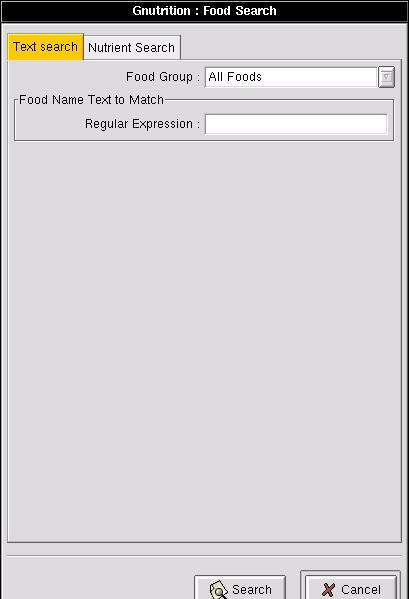 The search gives the foods with the highest score by this method. The foods are displayed in a tree as for the ``Search by Name'' box. You must first select the unit you are measuring in, in this case I have selected "large" (i.e. large apple), and the amount, in this case one. Results are then shown for lots of nutrients. Different classes of nutrients are selected by the tabs ``Macro-nutrients'', ``Minerals'', etc. 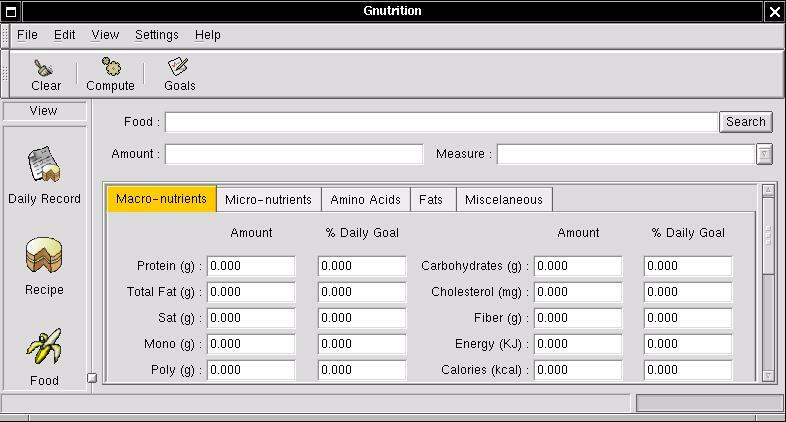 The percentage of RDI (recommended daily intake) is also displayed for the nutrients based on your height and weight as entered when you first ran the program. To understand what all these mean, refer to the Nutrient Notes.